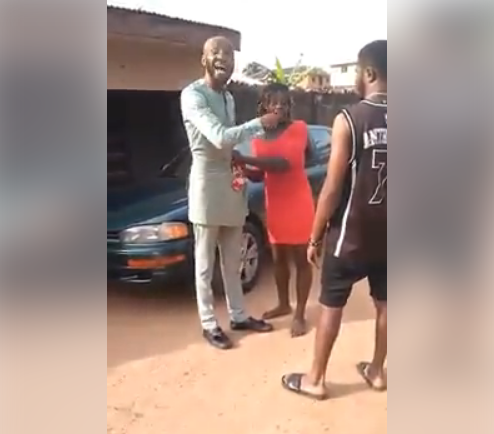 A mild drama ensued between a man and a young lady recently in Awka, Anambra state capital, over money. 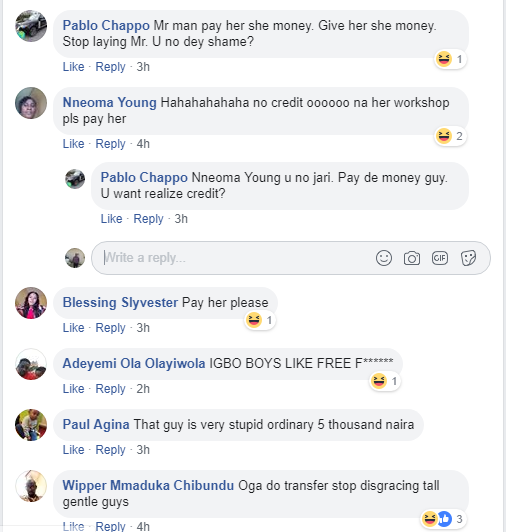 According to the lady, the man and her agreed on a fee of N5000 for services rendered – only for him to back down when he was supposed to pay. The lady held his cloth in public while asking him to pay her. 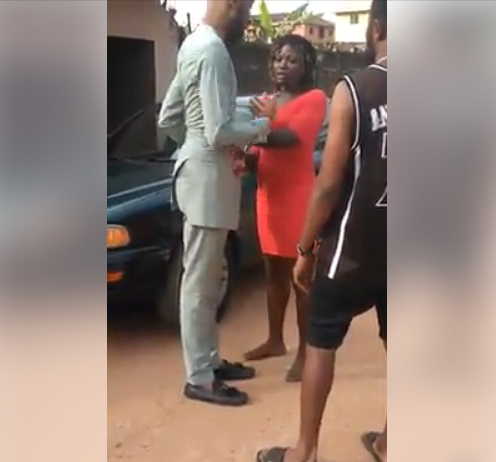 Despite threats from the man to beat her, she insisted on collecting her payment from him. The incident drew the attention of passersby who tried to intervene in the matter. oga pay the money jare!!!! Oga u don enter one chance.